A week before mid term, Min Young's dad brought the whole family to Gangwondo for Durumi watching. 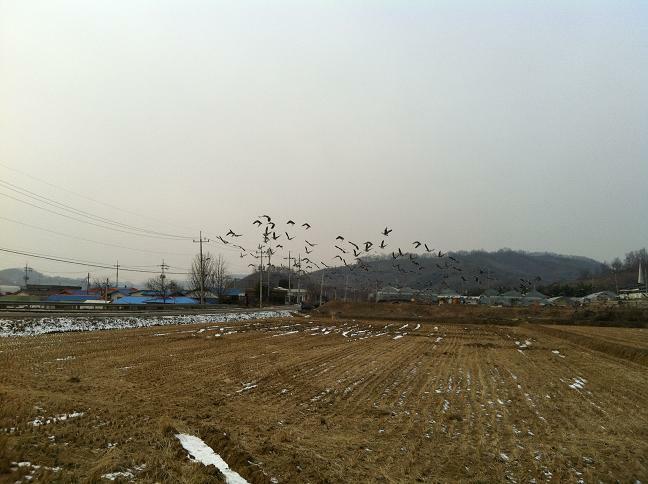 Min Young told me it was a bird and she phrased the rhyme occassionally spoken by Hyun Bin in Secret Garden. 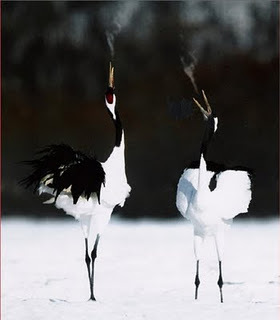 Red crowned crane or 두루미 is symbolizes luck, longevity and fidelity. to Korea and some parts of China to spend the winter. Info from Wikipedia. 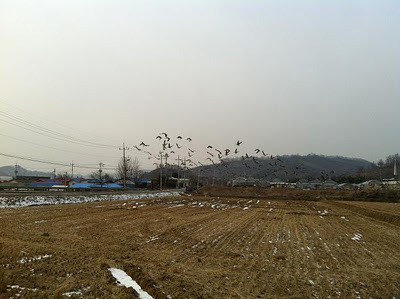 This was taken outside of the DMZ area. Ahhh...apparently even my other Korean friends haven't had the chance to see Durumi personally. Wow..am I lucky or what!! This was my first time ever for bird watching so my initial expectation - I will be bored to death! Tada...it wasn't so bad. Unfortunately, there's some disappointment as we were not allowed to shoot pictures of the birds. 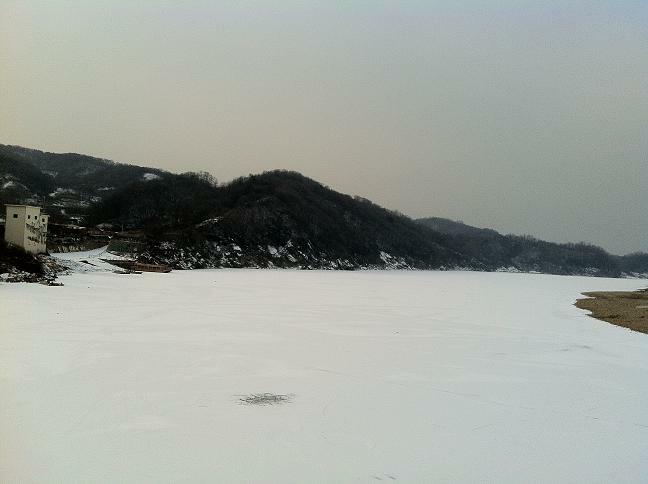 The Durumi location was inside DMZ area so we couldn't shoot any picture due to military restriction. I had to leave my Alien Registration Card with the soldiers before entering the gate. As usual you must have Korean guide with you before entering DMZ and in my case they are Min Young and her family. 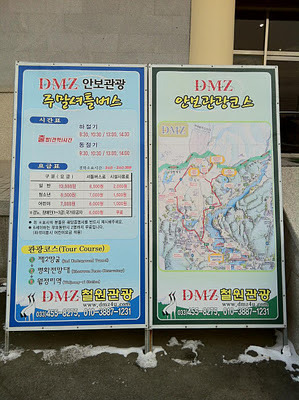 The DMZ area that we visited was near Yeoncheon-gun and by car from Incheon was about 2 hours. We were about 800 metres away from North Korea! There were some binoculars available for 500won for 10 minutes view of the border area but we didn't have 500won with us. Then the soldier did the unexpected! He used a kind of ruler to bypass it so we didn't have to slot a coin. 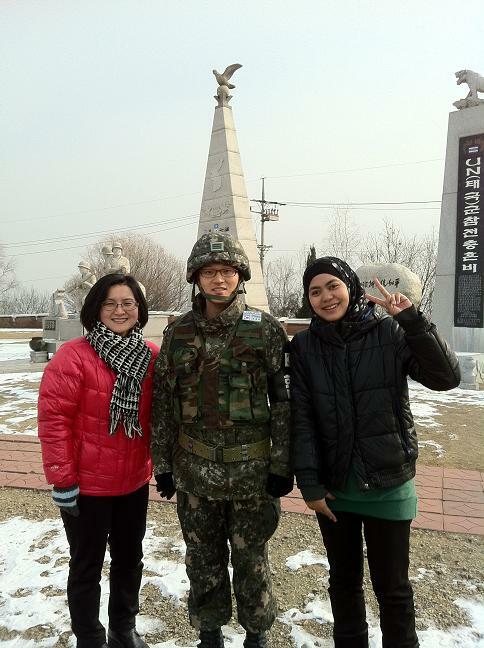 Heheh..
With a soldier at DMZ and he spoke fluent English. river, just like this. I was smitten by the view although its @#$#$^^& cold! 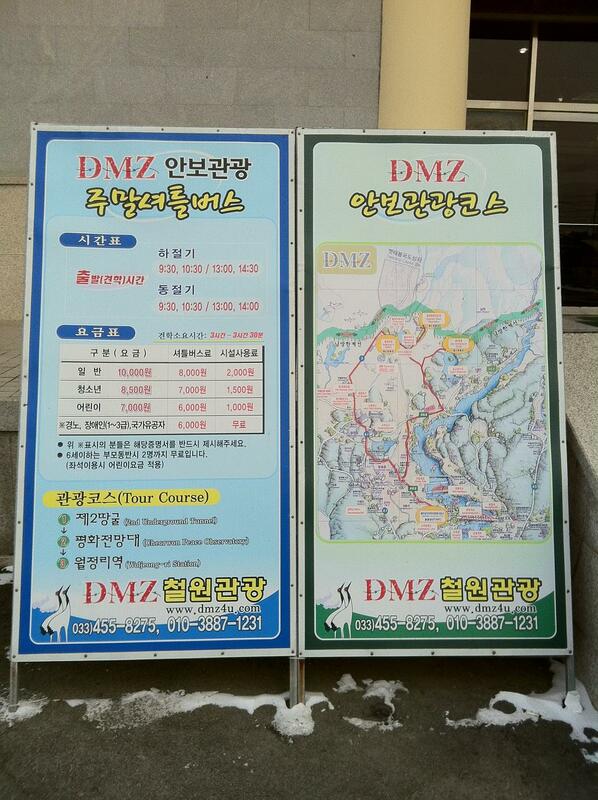 If you wish to go on your own for DMZ tour at Cheorwon, Gangwondo you can actually book a tour from Goseok-jong. From Cheorwon it costs only 10,000 won per pax. Take a bus from East Seoul Terminal to Sincheolwon. The bus operates every 20 to 30 minutes between 06:00 and 22:40 and the journey takes about 2 and a half hours. At Sincheolwon, Dongsong-eup, take a bus (runs every 20 minutes) and get off at Goseokjeong Bus Stop (20-minute ride) or taxi takes 15 minutes.